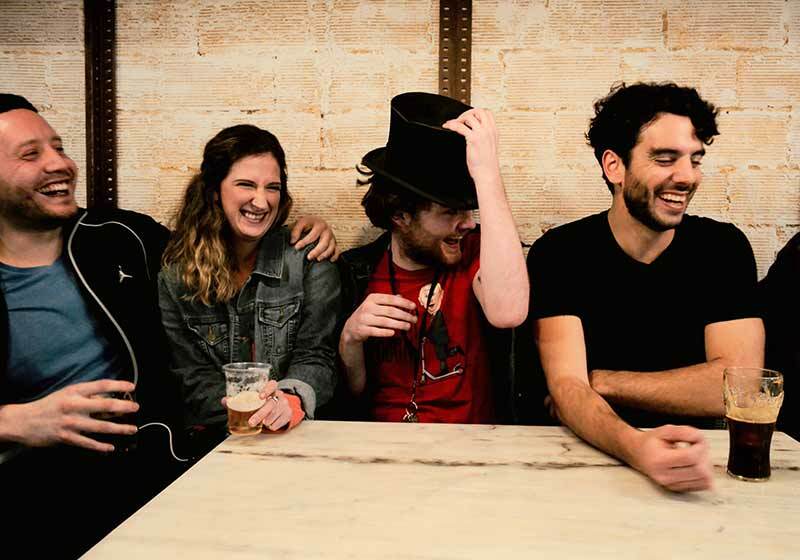 Pars Teatro Hostel is the place to stay in Barcelona if you’re looking for an unforgettable experience. Our hostel has had its doors open for over 25 years, and we’ve recently renovated with a vintage-inspired design. 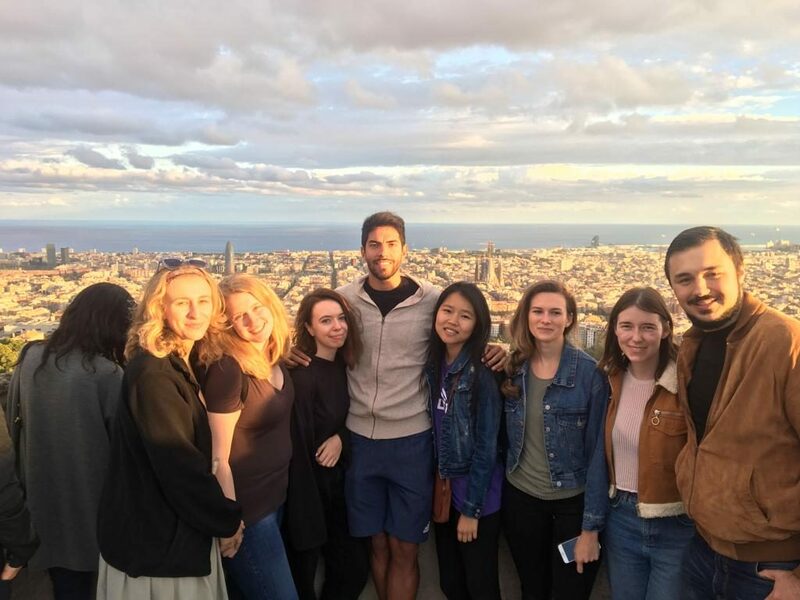 We welcome backpackers from around the globe who want to come to make friends with other travelers and learn all about the unique artistic, cultural, and historical factors that make Barcelona such a special city. Our hostel’s brand-new vintage design was inspired by the neighborhood of Barcelona that we’re located in – Poble Sec. Poble Sec is also where you can find one of the best places for street art in the city – the Parc de les Tres Ximeneies, which features a street art wall with ever-changing pieces of art. Anybody can add a piece of art to the wall so long as it gets approved by the group that oversees the project. More details on our great location here. Free tours, paella cooking lessons, sangria and beer nights, and many more. Teatro Hostel is a design-conscious hostel with a social heart. Join our events and mingle with fellow-guests. More information on our events here. Our hostel’s brand-new vintage design was inspired by the neighborhood of Barcelona that we’re located in – Poble Sec. This area was the epicenter of Barcelona’s theater scene in the late 1800s and early 1900s. Today, Poble Sec is still filled with lots of theaters, including Mercat de les Flors, Sala Barts, La Ciutat del Teatre, and El Molino (which specializes in cabaret). From the name, you might expect Teatre Apolo to be a theater, too, but it’s actually one of the coolest nightclubs in Barcelona. You can see our home district’s history right in the walls of our hostel, too. We’ve incorporated Poble Sec’s theatrical history into our decor, including the sign outside, the theater-style chars inside, and the seating area that looks like a theater dressing room. Keep your eyes peeled for special theatrical memorabilia and art on the walls, as well as the quotes from famous plays painted on the walls. 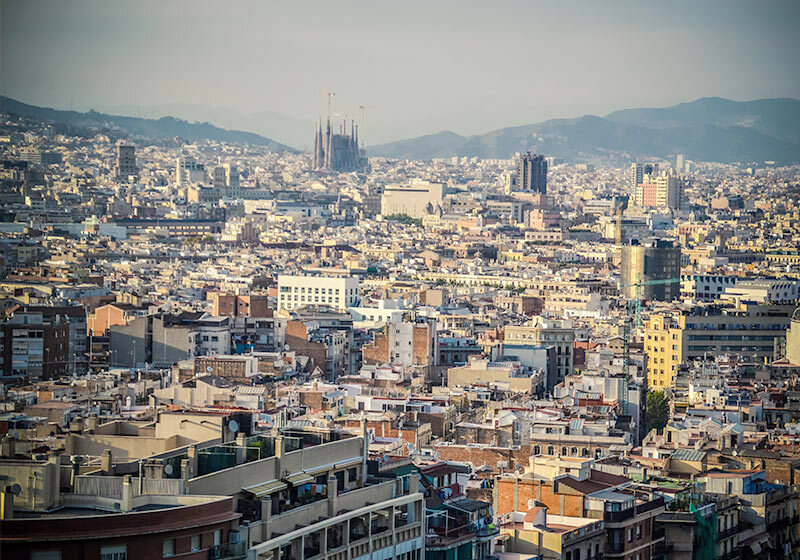 With a truly local inspiration, there’s no other place quite like this in all of Barcelona. Come in and make yourself at home! 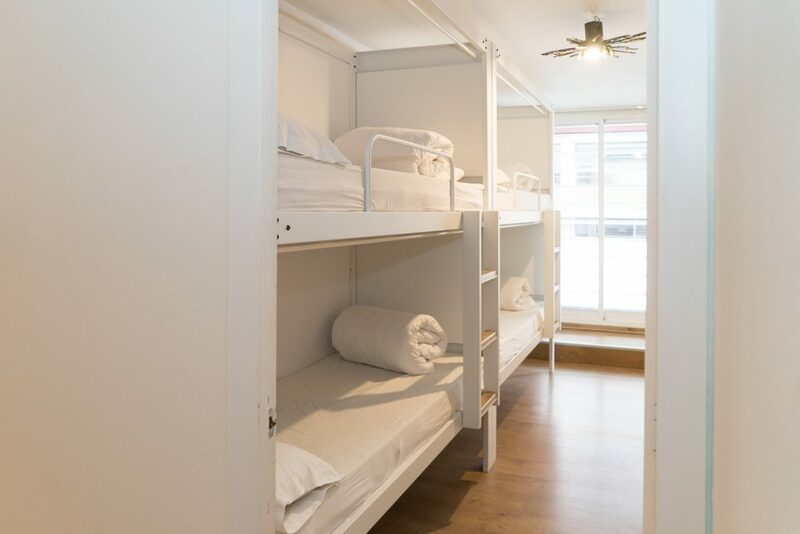 At Pars Teatro Hostel, we offer a wide range of different room types available to suit many different types of guests’ needs. Every room comes with an A/C as well as heating system. If you’re looking for things to do, why not take one of Teatro’s free tours? You can choose from walking tours, bike tours, and even photography tours! Check out our page on services for more information. We are proud that Pars Teatro Hostel has been featured in the Telegraph, and other newspapers, brands and established travel blogs. 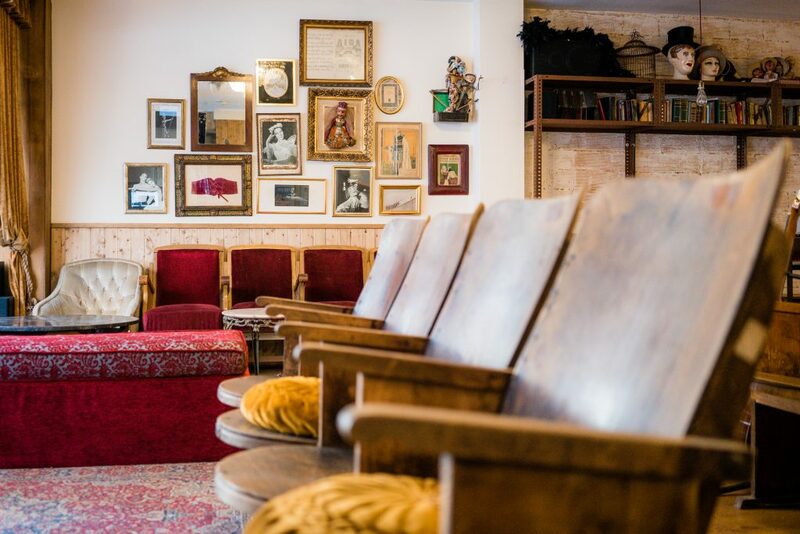 The Teatro Hostel oozes with character and provides a home-from-home for twentysomething travellers looking to hang out with like-minded souls. 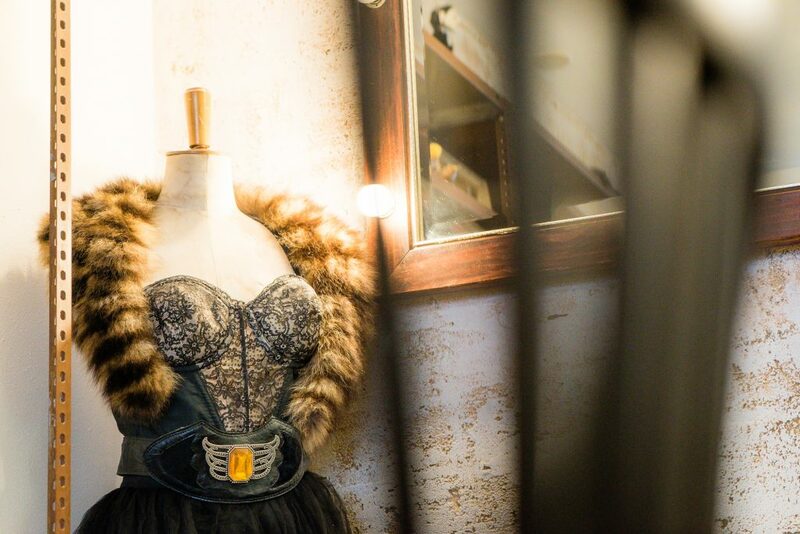 The design is a one-of-a-kind and is topped only by the incredible social atmosphere at Teatro. With Paella cooking nights, free tours, and more fun events, the Teatro Hostel is on top of the game. For us, it is without a doubt one of the best hostels in Barcelona!